We left even earlier this morning, just a little after 7am. 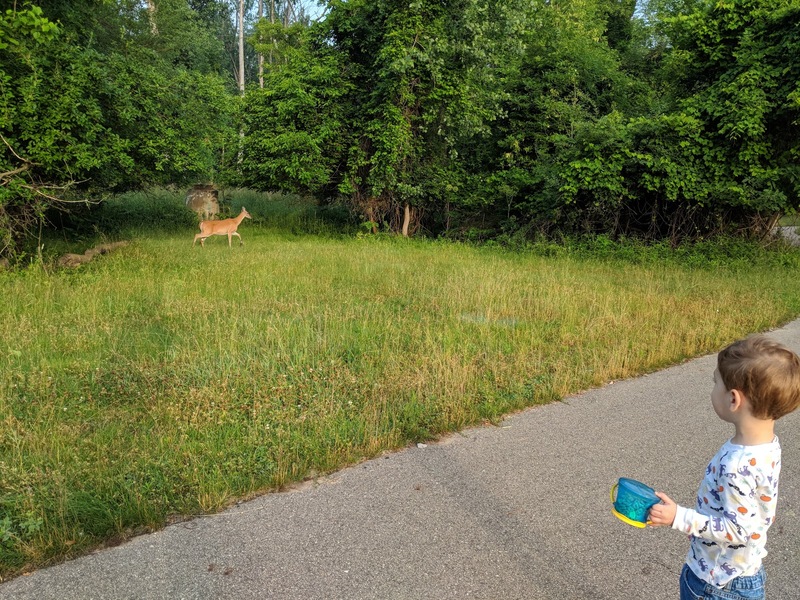 We were looking for bunnies. We came across a few and several deer as well! I also finally found a really good use for Google Lens. 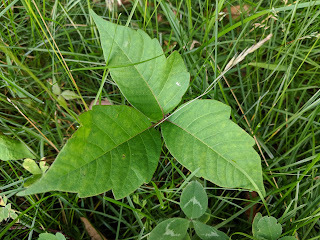 I question myself a lot on whether something is poison ivy so it was wonderful to have Lens confirm this is, indeed, poison ivy. Also there's poison ivy on this path so now I have to make sure the little one doesn't go running through the grass.